When I read articles about how the middle class is being priced out of Orange County, California it reminds me of an Economic Development course I took in college. It was fascinating to learn about the familiar patterns that undeveloped countries would follow as they advanced into developed countries. Typically, this transformation took place as the country evolved from a agricultural economy to a industrial one. This has lead to the growth and development of large urban centers (i.e. cities). But as an area develops, it’s economy grows and there are more opportunities for people there. This, of course, attracts more people and drives up demand and cost for housing. In Orange County, as well as most large cities in the country, housing has become astronomically expensive. There isn’t enough of it to support the growing population. 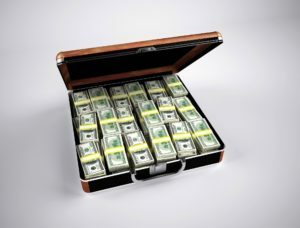 READ: How Do I Know I Am Getting Value for Money in Orange County? The average price of a home in the O.C. is over $700,000, and it is much higher in the more desirable areas. This makes living and working in Orange County extremely difficult for the middle class. The middle class is generally considered to be made up of households that make between $50K and $120K a year. According to the OC Register, however, in order to qualify as “low-income” in Orange County, you need only make less than $84K. That’s a pretty sobering figure to middle-class families trying to make ends meet. The median household income on the other hand, is $78K. This means that over half of the families living in Orange County qualify as “low-income” relative to the high cost of living here. What does this all mean? It means that for the teachers, firefighters, policemen, and blue and white collar professionals, living close to where they work may not be a very attainable lifestyle. For many millennials and middle-class wage earners that work in Orange County, long commutes of an hour or more may simply be a new fact of life. When I was working in the television industry, I remember needing to commute about an hour and a half each way to work. I couldn’t afford to live in Los Angeles with the salary I was being paid. That meant that my daily routine typically consisted of 10-12 hours on the job plus an additional 3-4 hours in commuting. Obviously, I ultimately decided to move on. Many people and families working in Orange County are faced with the same dilemma. They can’t afford to buy or rent here, so they commute in from areas further away, like Corona or Norco. As the middle class job market grows in Orange County it not only drives up the demand for housing here, but also abroad in nearby areas. There are obviously pros and cons to any course of action. Opponents to these ideas tend to come from a place of wanting to preserve the lifestyle and feel of the community that they love. 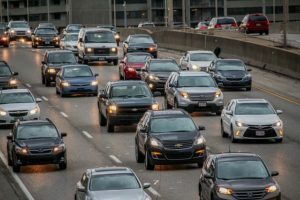 The fact is that changes like these will obviously increase traffic, congestion, and contribute to an overall lifestyle shift in the community. One hotly debated topic in Orange County is that of high-density housing. Current residents tend to push back against the permitting and building of new high-density developments. The fear is that these new developments will drive down property values and permanently alter the community. So, is that true? Probably. In fact, that’s kind of the whole point. Higher density housing is a solution. The problem is that there is not enough housing to support the local population/economy. That is why prices are so high in the first place. Our economy has outgrown our level of development. By providing high density housing units you introduce more supply to feed the demand, and thus prices drop. That is how the plan is meant to work. 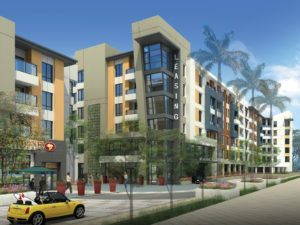 I personally believe that high-density housing is inevitable in Orange County. Because of the public’s general opposition to it, you will certainly see more of it in some areas than others. But change on some level is simply a fact of life. Another option is to expand affordable housing. The main gripe people have with affordable housing is it may lead to more crime or drive down property values. A low level of income is required to be approved for affordable housing. You can expect a higher cost of living in Orange County. It may make sense to allow more people to be eligible for affordable housing. Remember, $80K is the cutoff for low income here, but $80K is also far and above the income limit for affordable housing. Adjusting income limits on a local level to match more closely with the costs of living here could help. Also, there are so many middle class jobs in Orange County. It may actually help the overall economy even more to open up affordable housing to the middle class. Posted in California, Community, Orange County, Real Estate and tagged affordable housing, average home price in orange county, death of the middle class, high density housing, housing in orange county, how much is a house in orange county, how to buy a house in orange county, middle class, middle class in orange county, oc buy and sell, oc real estate, oc realtor, orange county california, orange county economy, orange county home, orange county home prices, orange county realtor, southern california middle class, southern california realtor.